Read The Beatles (Classic and New Writings on The Beatles, and Why They Still Matter). Artist/Personality; Reference Textbooks; Textbook - General. Rock. Book. Published by Alfred Music (AP.74-0143037323).ISBN 0143037323. Rock.Read The Beatles is a collection of interviews, essays, poetry, book excerpts, and record and movie reviews by selected writers from the last 30+ years. It contains both hard-to-find and out-of-print articles, as well as new writings about the group and the artists' individual careers. 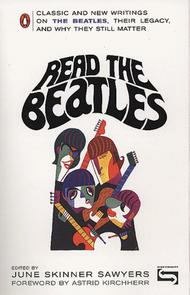 This is a must for both Beatles fans and students of pop culture.